At PCSC Foothills, community members decide for themselves how their days will unfold. Generous grounds open paths for a morning walk or a meditative evening stroll. The pool and hot tub are hubs for fitness and relaxation. 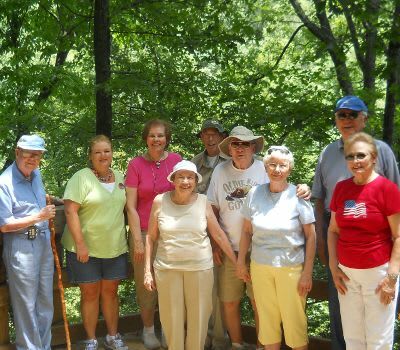 Nearby Clemson and Furman university offers sports venues and OLLI (Osher Lifelong Learning Institute) continued educational opportunities. The city of Greenville and other towns host festivals, art shows, and other cultural events year-round. At home or on the town, residents opt for the level of activity that feels right. The main building at the Foothills welcomes residents with a fire in the hearth during cool weather and big windows to take in the courtyard view. The dining room is elegant, with cathedral ceilings and open seating. Residents can enjoy good company while partaking from an excellent menu. The City of Easley boasts many resources that complement the lifestyle at the Foothills. The stately Captain Kimberly Hampton Memorial Library is well stocked and presents a full schedule of lectures, classes, and programs for curious minds. An outing to the Easley Amphitheater or Easley Foothills Playhouse promises great music and entertainment for all. PCSC Foothills addresses optimal health and well-being with Seven Dimensions of Wellness, a multi-tiered approach to feeling one’s best. In this program, the individual sets the course for what he or she requires to feel whole and well. Compassionate and professional staff assists in assessing the physical, emotional, spiritual, intellectual, vocational, social, and environmental needs of every resident. Activities and practices combine in ways to support the unique abilities and spirits of each community member. We look forward to answering all your questions about the good life at PCSC Foothills. Contact our office today to schedule a visit.